Thanks for your considered review. Guess I can’t win them all. ….ps, and I am tweeting the good reviews of the book, not this one – one mediocre review (and do not forget, 3* is not a bad review) doesn’t make much diff. Thanks for the RTs Terry. and you are more than entitled to your opinion. I can’t expect everyone to love everything I write. As for Chet, he’s not in hiding, he’s been hard at work passing his medical exams and completing his medical rotations. BTW, I’ll let you into a little secret–I’m half way through the first draft of the sequel to On Lucky Shores. I hope to publish Beneath Lucky Shores (working title) early in 2017! 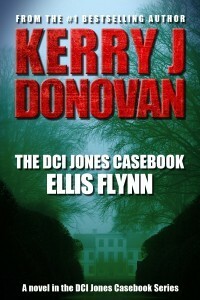 Thanks again for reading and reviewing Ellis Flynn. Good honest review, Terry. I’d like another Chet Walker book. Loved On Lucky Shores.